Today, we are making “Mentsuyu” , concentrated Dashi stock. You can find “Mentsuyu” at a Japanese grocery store but you can make it at home! Make it once a month or two, you can enjoy the Japanese food anytime you want. I developed this recipe after countless failure. I proudly introduce you to this as my signature recipe. Put all the ingredients to a pot, except salt. Cover with plastic wrap onto surface to submerge shitake mushrooms. 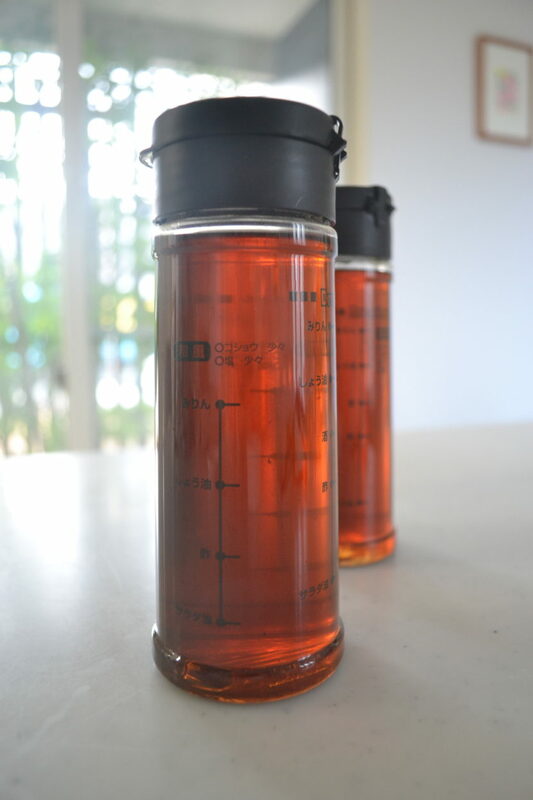 Leave it at least 2 to 3 hours, preferably overnight to infuse all unami. 2. Set over very low heat about 10 minutes and let it gently simmer. Be careful not to boil, otherwise, it will taste unpleasant. Then keep cooking over very low heat for 20 minutes. 3. Add salt to the pot and stir to dissolve. Strain and it’s done! let it cool to room temperature. 4.Transfer to a bottle and keep in the fridge. It will keep well up to 3 months I didn’t add any water. By the way, don’t throw the strained ingredients. Put them in a pot and pour water to cover, and set over medium heat and cook for 10 minutes. 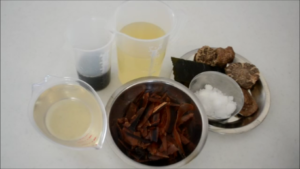 This is called “Nibandashi” literally, means “Second Dashi broth”. It doesn’t have a strong flavor but you can still make delicious simmered vegetable or tofu with this broth. Here is one more good thing. 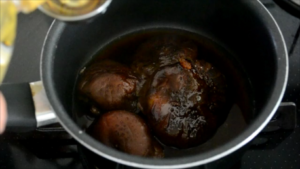 Put shitake mushroom to a pot and add 4 tablespoon of Niban-dashi, one tablespoon of sugar, soy sauce, and mirin. Cover with lid and simmer for 10 minutes. And you will get savory and sweet shitake. These are like candied shitake. You can use them for Sushi and many more dishes. 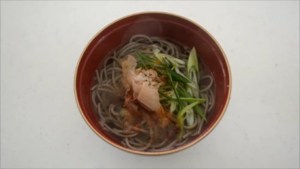 You can make Soba soup with Mentsuyu. 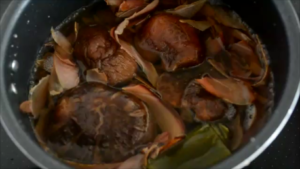 Put one tablespoon of Mentsuyu to a bowl, and add half a cup of boiling water. The ratio is 1 to 8 but you can adjust to your taste. 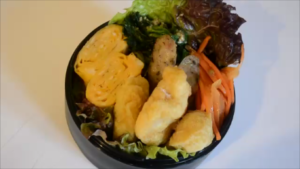 I make amagoyaki, every morning to my son’s bento lunch box, and spinach with sesame dressing. You want to keep this in your fridge!